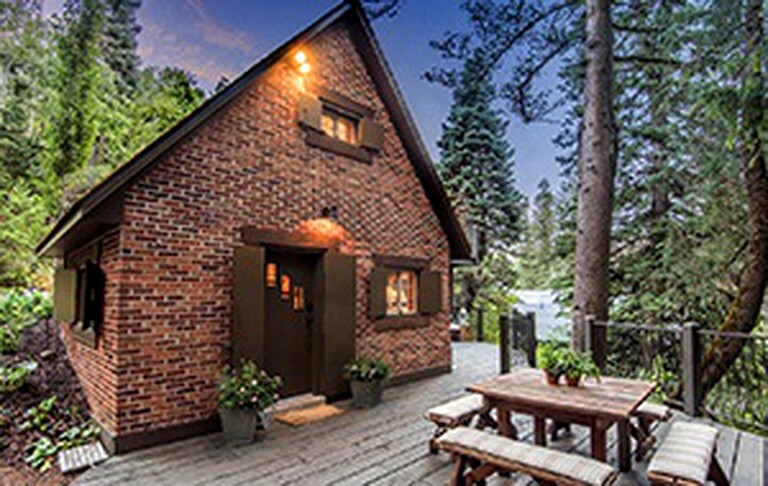 This cozy cottage getaway is located in Sundance, Utah, and can accommodate up to four guests. There are two bedrooms and one full bathroom. 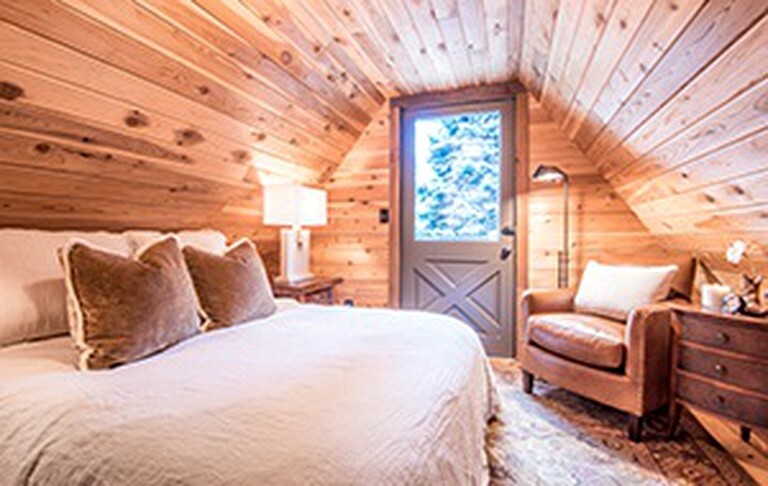 The first bedroom has a queen-size bed, while the loft bedroom has one trundle bed. Both bedrooms are accessed via a ladder and are not suitable for infants. In the bathroom, guests will find a toilet, a sink, and a shower. Luxury linens and towels are provided, along with hairdryers and bathrobes. 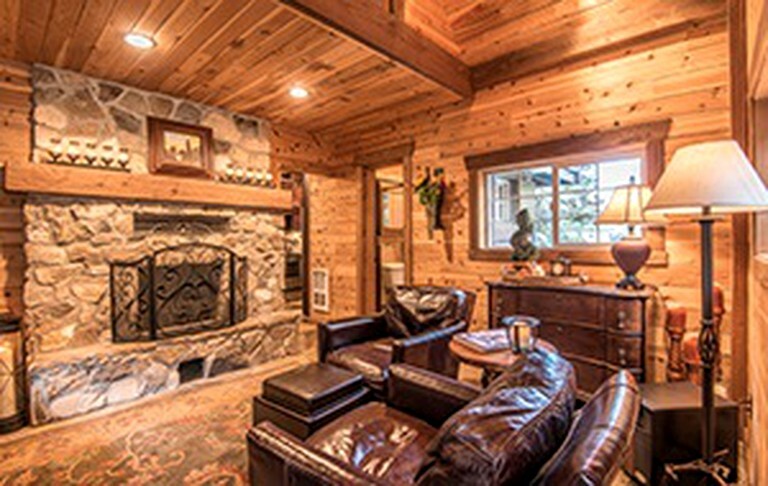 In the living room, guests will find a satellite HDTV, a Blu-ray / DVD player, and a wood-burning fireplace. The fully-equipped kitchen comes with a blender, a refrigerator, an oven, a stove, a coffeemaker, a microwave, and kitchenware. Other amenities include Wi-Fi. Outside, a spacious deck and gas grill means spending quality time in the great outdoors doesn't have to come at the cost of an empty stomach. Guests should absolutely take advantage of the hot tub, too, which is located beside the stream that flows around the property. Otherwise, guests can take a nap in the comfortable hammock or simply pour a glass of wine, fire up the patio heater, and let time roll by. The fireplace and entertainment options in the living room give guests the opportunity to snuggle up and watch a movie! Modern amenities such as Wi-Fi are provided for the comfort of guests. Parking is available for two vehicles. The beauty of this area is that activities are available all year round. 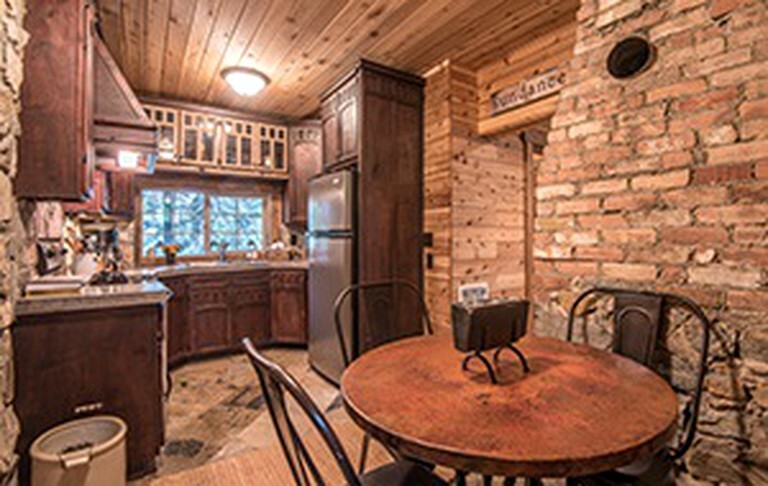 In the summer months, guests can bring along a rod and do some fly fishing on the beautiful Provo River, or put on some hiking boots and tackle one of the many trails snaking through Sundance; there are tracks for all skill levels. It is also possible to go horseback riding and mountain biking through the surrounding area, too. If aquatic fun is the name of the game, guests can also set sail on nearby Deer Creek Reservoir, or go rafting or kayaking on Provo River. For a truly unforgettable experience, guests can book a spot on a hot air balloon in Park City to enjoy unbeatable views, or go zip-lining for a true adrenaline rush. In winter, the Sundance area truly comes alive; there are 41 runs in total over 500 acres in the surrounding area alone, meaning skiing, snowboarding, snowmobiling, and snowshoeing are all on the cards. Nearby Midway also features ice skating and tubing, and are undoubtedly popular. To access the property in winter months, a 4x4 is required. Prices fluctuate depending on the time of year. Cleaning fees apply.